Global money transfer platform Bitspark has included support for a Sparkdex.HKD, a stablecoin pegged to the Hong Kong Dollar according to reports coming from the Asian nation. Originally reported by Technology and finance news outlet Fintech Hong Kong on Tuesday, Jan. 29, BitSpark claims that the stablecoin Sparkdex.HKD is the world’s first market-ready cryptocurrency pegged to the Hong Kong Dollar (HKD). In his remark, George Harrap, co-founder and CEO of Bitspark expressed delight at the launch of the HKD-pegged cryptocurrency which he says will diversify the stablecoin market. Stablecoins—cryptocurrencies maintained at the value of fiat currencies—have received a lot of attention since last year and this has led to the introduction of several competing stablecoins. However, most of these stablecoins are pegged to the United States Dollar and markets are now dominated by USD stablecoins like TetherUSD, PaxosUSD, CircleUSD, GeminiUSD, and others. Harrap alluded to this fact in his statement as he looked forward to a shift in the trend. 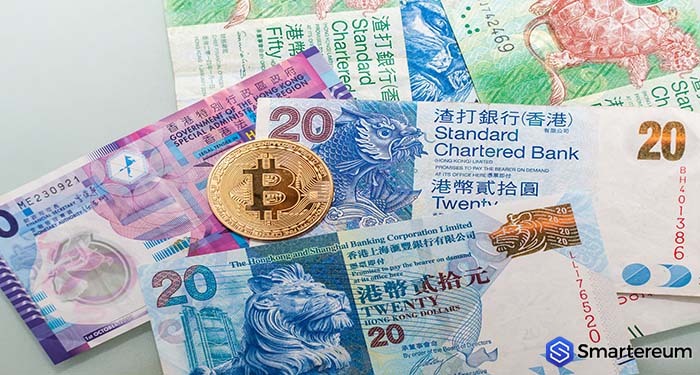 “Until now, US Dollar stablecoins have dominated the market,” he said while pointing out that “there are other national currencies in the world, like the Hong Kong Dollar. As Smartereum reported, Japanese Internet Giant GMO announced plans to introduce en-Pegged stablecoin this year. GMO explained that the stablecoin known as “GMO Japanese YEN” with ticker symbol as [GJY] will serve as a prelude to its blockchain-enabled global remittance and settlement business. Last December, the Brazilian National Social Development Bank announced that it will debut a stablecoin pegged to the country’s national currency. The cryptocurrency to be known as BNDES token represent efforts towards Non-USD stablecoins. Like other stablecoins, the Sparkdex.HKD will be maintained at 1:1 to the Hong Kong Dollar. It will be tied to reserves of physical cash in HKD which will be audited regularly. At the time of writing, the stablecoin is listed on Bitspark’s decentralized exchange Sparkdex with a market cap of about $500,000 HKD. BitSpark is a Hong Kong-based cryptocurrency payment platform established in 2014. Its services focus in Asia and Africa as the company aims to provide financial inclusion through cryptocurrencies and stablecoins. It is positioned as a hub for trading and exchanging stablecoins.